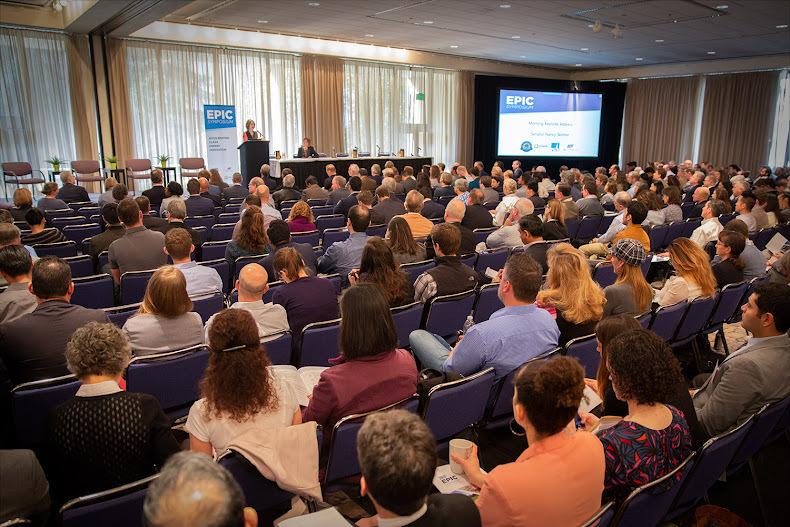 Industry leaders, researchers and the public will get a chance to attend panels covering a range of clean energy research topics at the California Energy Commission’s Electric Program Investment Charge (EPIC) Symposium Feb. 19. The symposium, which is being held at the Sacramento Convention Center, showcases emerging clean technologies. The event, which is free and open to the public, showcases projects funded through EPIC, which is an energy innovation funding program established in 2011. • A rapid-fire, cleantech pitch session featuring executives from four cutting-edge technology companies which were awarded follow-on funding from the California Sustainable Energy Entrepreneur Development Initiative (CalSEED). The entrepreneurs will also discuss how their projects moved from idea to marketplace. • California Energy Commissioner Janea A. Scott will moderate a panel on innovations in vehicle-to-grid and vehicle-to-building technologies. • California Public Utilities Commissioner Martha Guzman Aceves will moderate a panel that discusses new ways to bring innovate clean technology projects and programs to disadvantaged and low-income communities. • A session on survival tips for entrepreneurs brings EPIC-funded entrepreneurs together to give advice and reflect on challenges and lessons learned while building their businesses. They will discuss what contributed most to their success and how California can enhance support for clean energy entrepreneurship. • Edward Randolph, deputy executive director for energy and climate policy for the California Public Utilities Commission, will moderate a session about energy storage and how improved storage technology can help speed the state’s transition to a clean energy future. • A panel will discuss sustainably, managed municipal waste while being attentive to customer costs. Max Gomberg, climate and conservation manager for the California State Water Resources Control Board, will moderate. Click here to register for the symposium and the agenda, which has the times and speakers for all the panels.